Two are better than one. 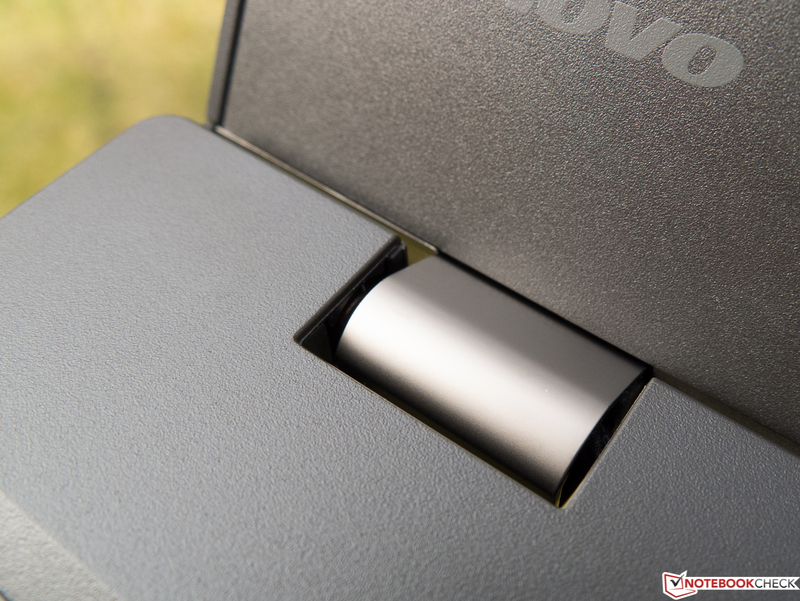 Lenovo's business newcomer features two batteries rather than one. That enables a battery life that makes the contenders green with envy in view of its powerful hardware. An LTE modem ensures the required flexibility, data is protected extensively, and the input devices are again close to perfect. All the more aggravating that it was not enough for an IPS screen. 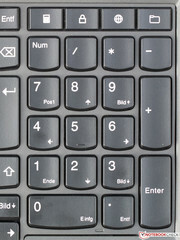 As a rule, business users prefer highly portable, robust laptops with good input devices, the appropriate security and connectivity configuration, and long battery runtimes. Lenovo's T lineup has stood for all these qualities for years, and it now gains a family member dubbed ThinkPad T550. The buyer gets a swift i7 dual-core, 8 GB of memory, a 256 GB SSD and Full HD screen, which is, unfortunately, only based on TN technology, for a steep price of approximately 1800 Euros (~$1888). The security package is to completely satisfy all needs, and the T550 is also prepared for administration in corporate networks. An LTE module with GPS ensures wide-ranging independence from Wi-Fi nets that are not available everywhere. 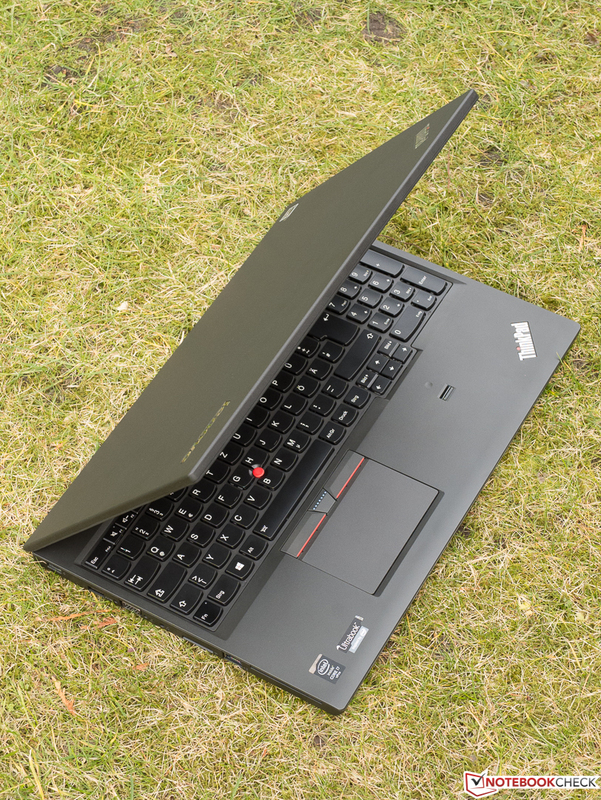 An overview of the different T550 versions can be found here, starting on page 82. While choosing the comparison laptops for this test, we primarily made sure that they aim at the same target group, have the same size, and they also feature a Full HD screen. Among others, the following laptops fulfill these specifications: Toshiba Tecra Z50 A-12K, Dell Latitude E5550, and HP EliteBook 850 G1. 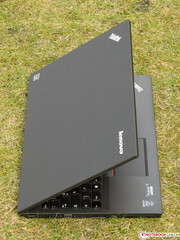 ThinkPad-typical forms, design elements and materials ensure that the T550 is immediately recognized as a member of Lenovo's business family despite its reworked casing. Fiberglass reinforced plastic (FRP), which is both light and unbreakable, ensures a low weight of just 2.1 kg in conjunction with the necessary rigidness for on-the-move. 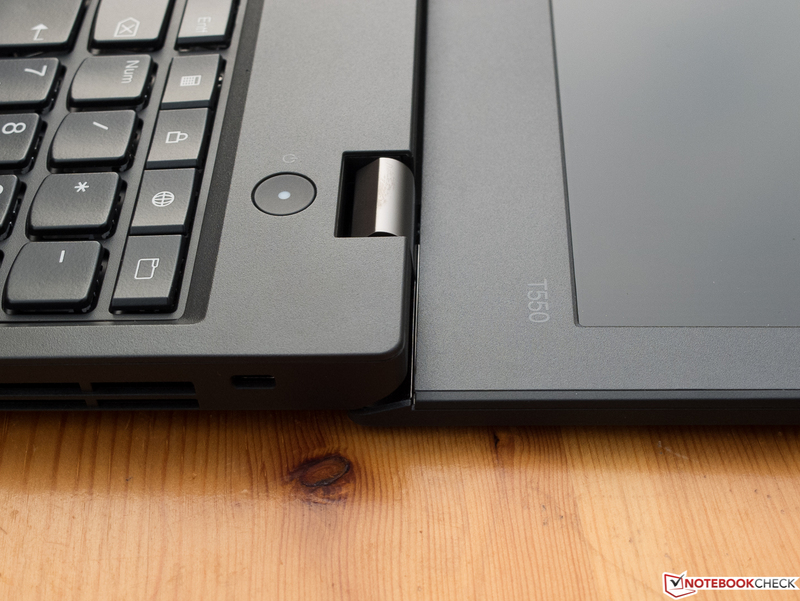 The tester also found that the fairly slim ThinkPad with a height of 23 mm felt light in relation to its size subjectively. The sandstone-like looks of the display back's soft-touch surface is non-slip, somewhat susceptible to fingerprints, and it is not very easy to clean. The upper side of the base is easier to clean; its lightly roughened plastic also makes a high-quality impression. The base could be warped slightly with a lot of effort and only produced a very quiet crackling noise. The metal hinges are no strangers, but they are pulled a bit too tight here, making it necessary to hold down the base when opening it. However, the laptop barely wobbles when the laptop is moved abruptly. The build is impeccable and justifies the price. 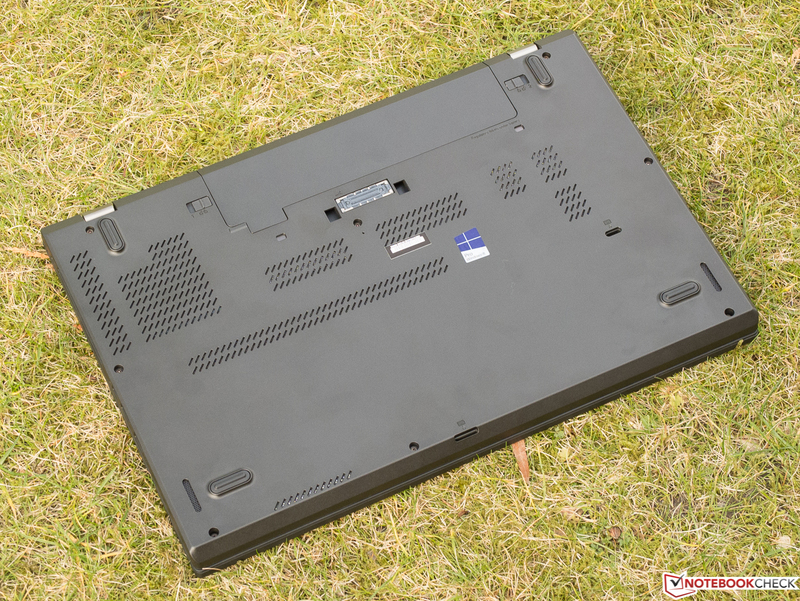 According to the manufacturer, the laptop has successfully passed various military tests regarding environmental influences, such as high and low temperatures, humidity, dust, and vibrations. 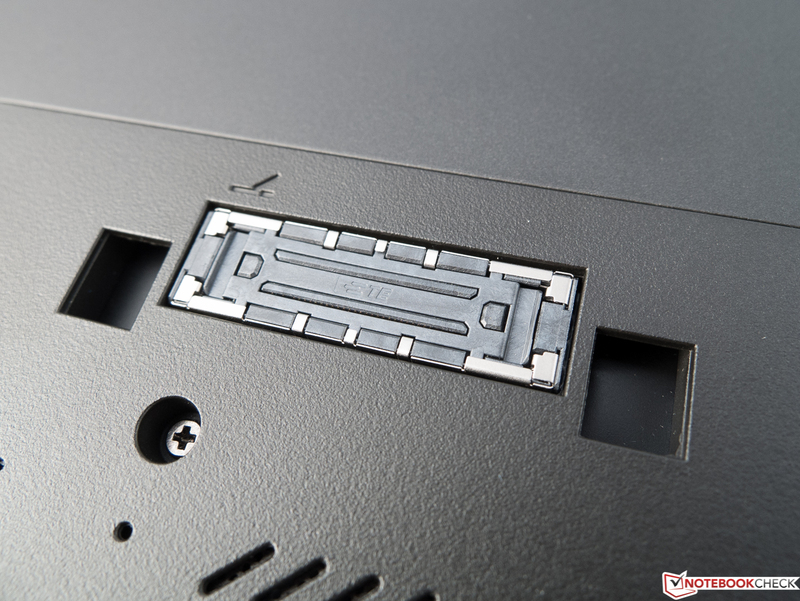 Lenovo also installs an obsolete VGA port in the T550 making it possible, for example, to connect old projectors in conference rooms. The mini-DisplayPort points to the future and can be turned into an HDMI-out via an adapter sold for approximately 10 Euros (~$10) in retail. 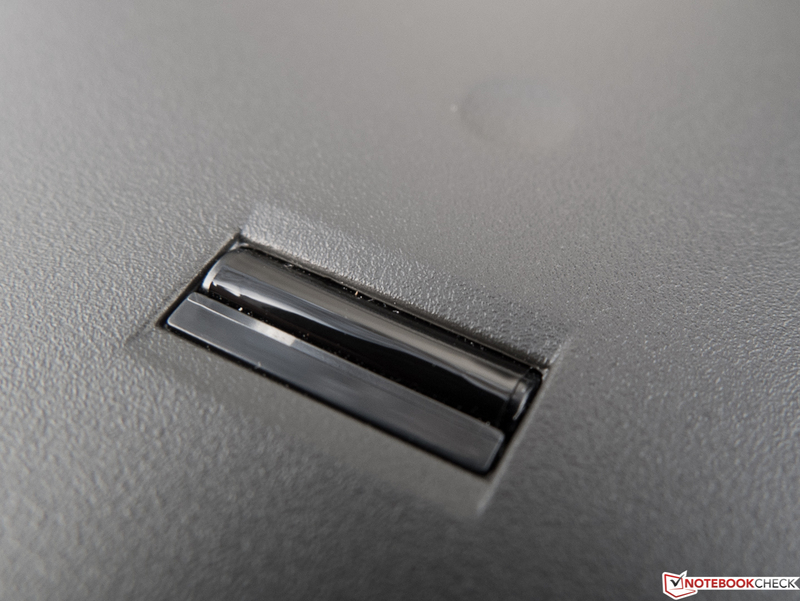 Lenovo completely relies on the USB 3.0 standard and provides three of these ports distributed over both sides. 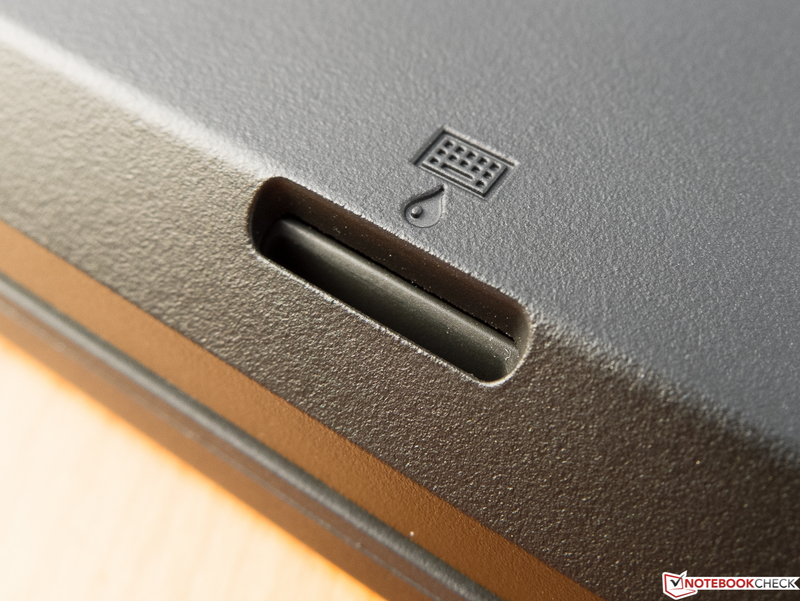 A Gigabit Ethernet port is available for stationary use, and a docking port for the ThinkPad Pro Dock with many additional interfaces is on the underside. Although the ports are not positioned ideally, i.e. at the very rear, they are at least centered. The business user is only really mobile and independent with a laptop that has a wireless modem. The one in the T550 supports the high-speed LTE and GPS in addition to UMTS. LTE of the tester's micro-SIM is limited to 7.2 Mbps, but the speed was even surpassed slightly despite the mediocre reception. Of course, Wi-Fi is also installed in the form of Intel's Dual-Band Wireless-AC 7265 top module, which calls itself "Gigabit WLAN" and supports the less frequented 5 GHz band. 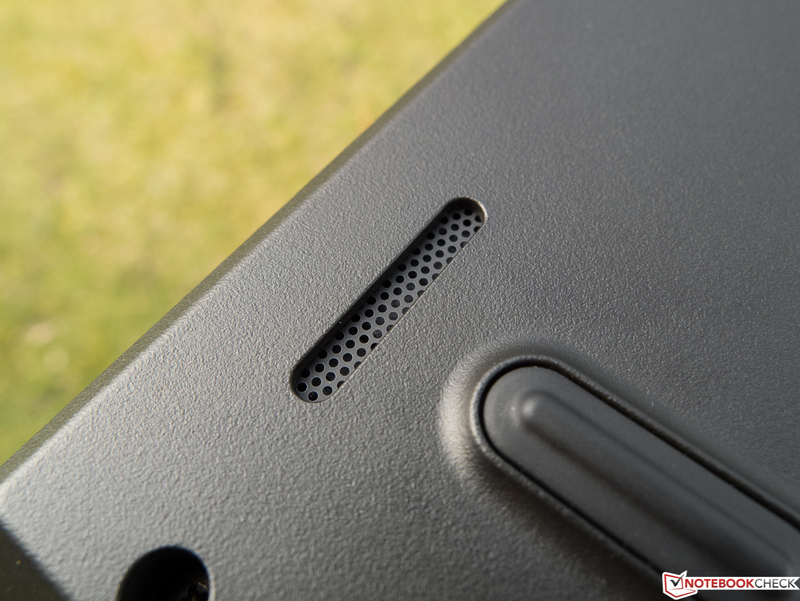 Since the antenna obviously also plays a role, the ThinkPad T550 excelled with an above average reception performance in the tester's personal test setup where architectural obstructions were gradually added while increasing the distance to the router. The transmission rate decreased later and not as evidently in the majority of other previously tested laptops. 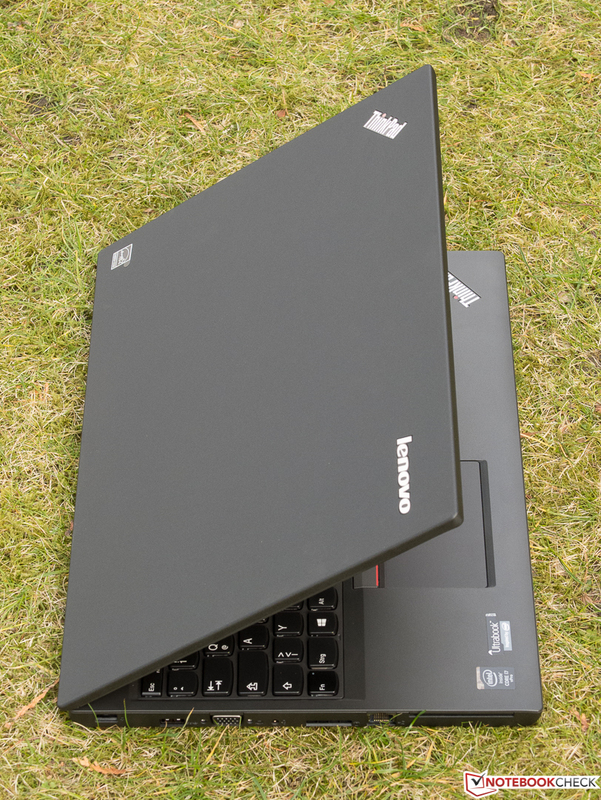 In addition to the Kensington lock found in virtually every laptop, Lenovo's ThinkPad T550 provides an extensive security configuration, including an SSD that can be encrypted via hardware, system and BIOS passwords, a SmartCard reader, and a fingerprint scanner. BitLocker is only available under Windows 8.1. A Trusted Platform Module (TPM) in the TCG 1.2 standard is also installed. It is possible to remotely locate the device or delete data if it has been stolen or left in an airport lobby via Intel's Anti-Theft. However, a contract involving costs is needed. The integrated SmartCard reader also serves secure authentication. We compiled further information about the listed security features here. Besides the power supply, a leaflet with safety, warranty and setup information is in the box. Another sheet reveals that media for installing the licensed Windows 8 Pro has to be ordered from Lenovo and might involve shipping expenses. That is weak in view of the laptop's steep price. The battery is easy to remove, and that is the only maintenance option. Disassembling the device is the only way to access the innards, and that did not come into question for our shop model. Non-savvy users will likely have difficulties since there is no base plate and the tray is pulled up to the base's upper side. Positive: Lenovo at least provides detailed instructions. However, business users will not tamper with their work device very often. The demanding business customer expects generous warranty conditions, which the manufacturer also delivers with a three-year on-site service in Germany and Austria. 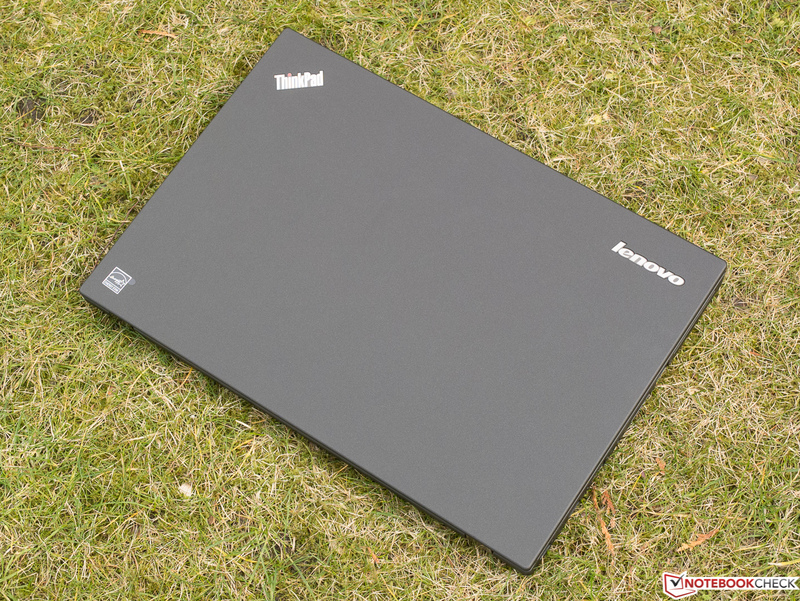 The laptop can be registered on Lenovo's website, and different warranty and service upgrades are offered for an extra charge. They are to keep downtime periods short. Whether or not a keyboard is compelling is a subjective matter. 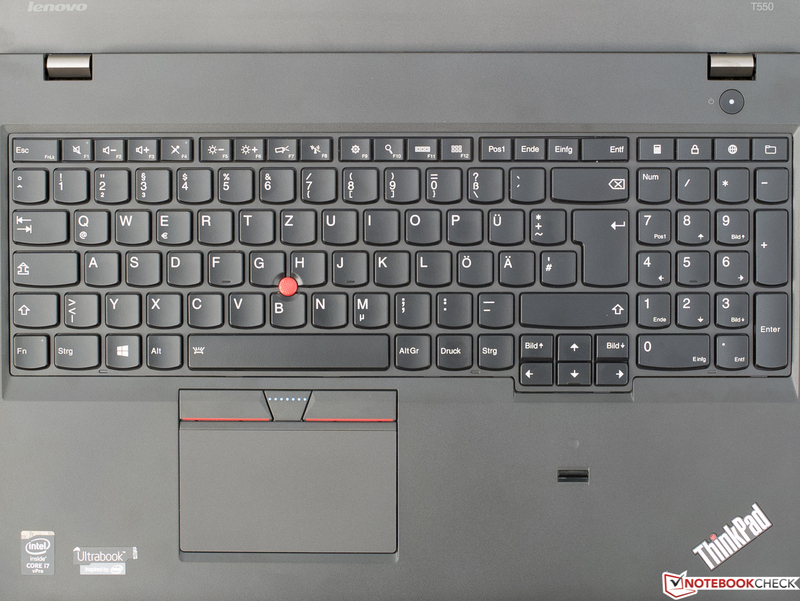 However, we can confirm that the T550 has an exemplary keyboard like most ThinkPads from the upper price range. Its rich mechanical feedback should even satisfy the most demanding prolific writers. In addition to its impeccable build and rigidness, the user can expect a pleasant drop, crisp pressure point, and perfect stroke absorption for laptop conditions. 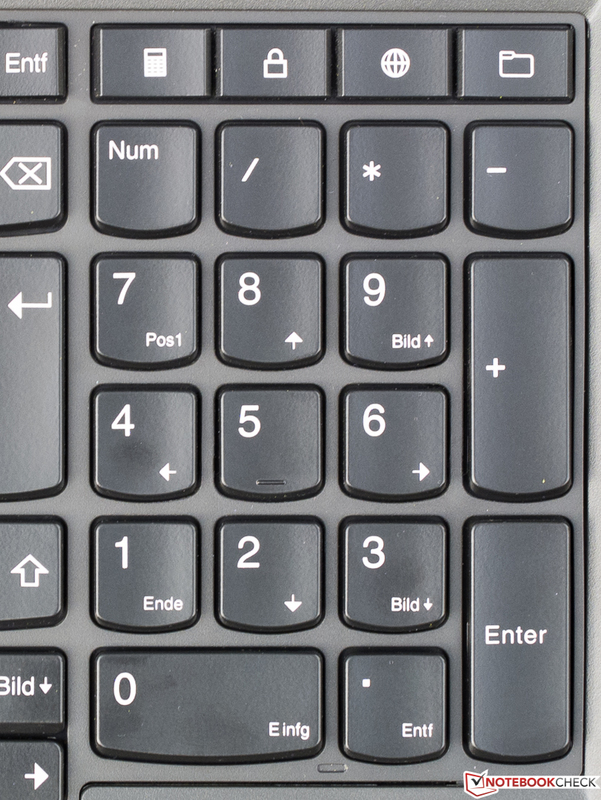 The keys have a concave, non-slip surface, and a perfectly clear lettering that can be illuminated via the two-level, bright and homogeneous keyboard backlight. The largely standard layout does not have many surprises; frequently used keys are bigger and many settings can be easily made via hot keys. It is a bit too bad that the larger keys, such as space and return, tend to clatter a bit unlike the whisper-quiet, smaller ones. However, the spill resistance is a plus point. 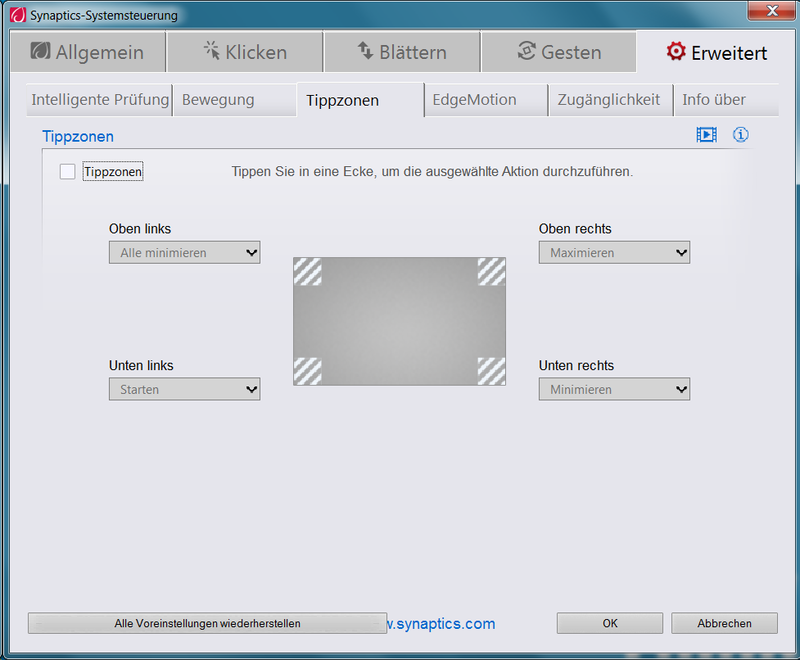 As can be seen in the screenshots below this paragraph, the touchpad known from Lenovo's ThinkPad T450s is very extensively configurable and supports gestures using up to four fingers. 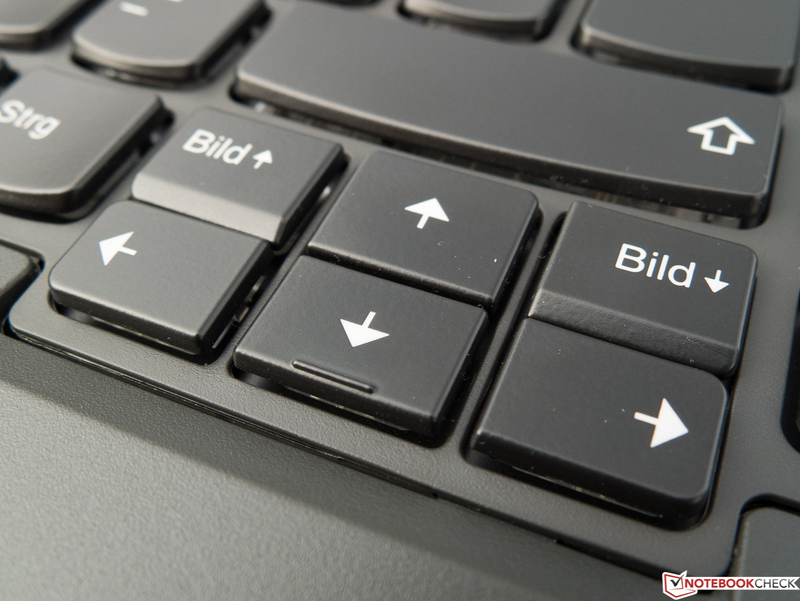 It is implemented as a ClickPad with an absolutely sleek surface and incorporated mouse keys with a short drop. They acknowledge triggering with a clear mechanical and palpable feedback. Like in the T450s, the gliding properties with moist fingers were sometimes unsatisfactory. 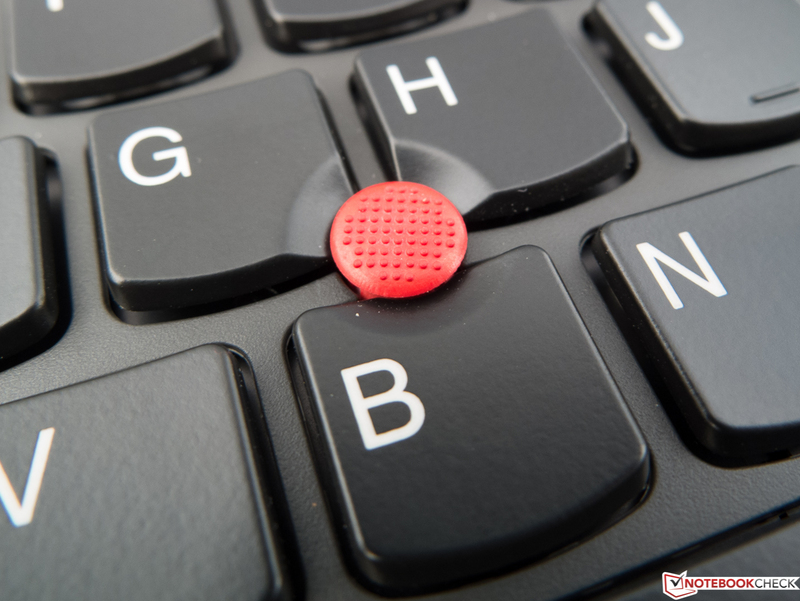 Three softly implemented buttons, which actually belong to the TrackPoint, are above the ClickPad. Drag & drop functioned impeccably. 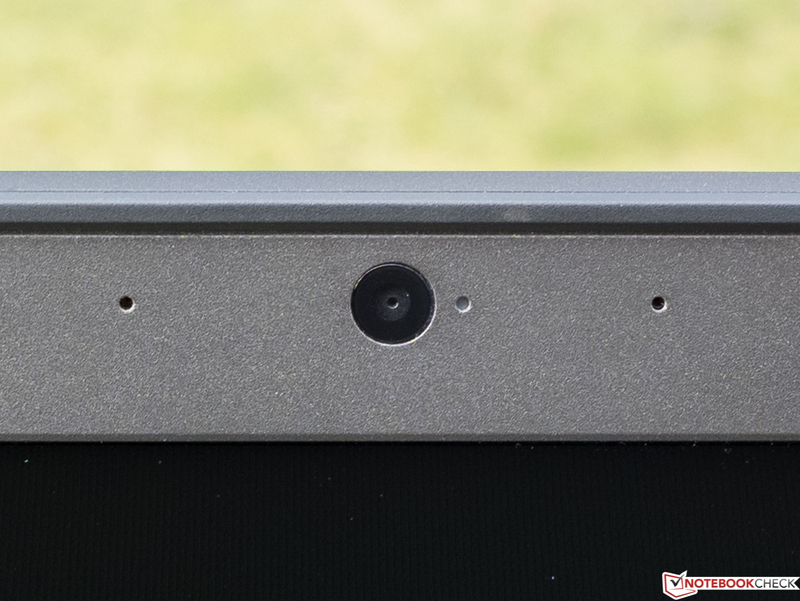 Despite the steep price, Lenovo uses a TN screen with a Full HD resolution (16:9) in our review sample. Thus, the user will have to at least accept limited viewing-angle stability. 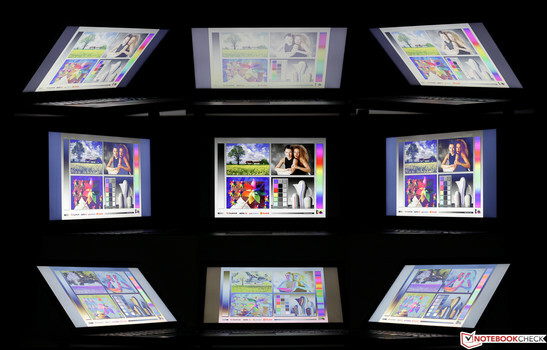 The roughly 2 million pixels distributed over 15.6-inches result in 141 ppi. 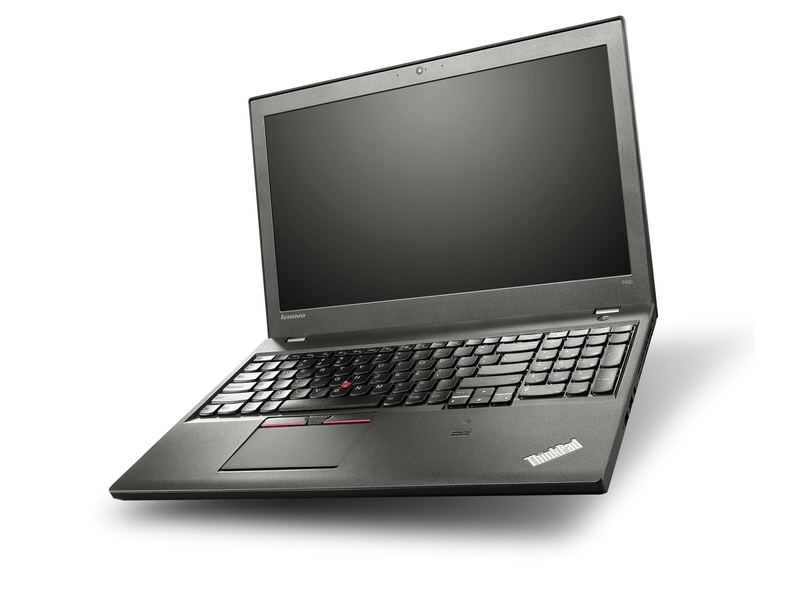 The T550 is also optionally available with 1366x768 pixels (100 ppi, TN) and 2880x1620 pixels (15.5-inches, 213 ppi, IPS). Touchscreens that will never have a completely matte surface as opposed to other screens are also allegedly available. The maximum brightness of just below 300 cd/m² (center) is very good. Solely the tested office laptops from the past 12 months that have specifically been made for outdoor use, such as Dell's Latitude 14 Rugged, achieve considerably more, and they will not dazzle the user with less than 751 cd/m². Our contenders in the test can still keep up with the T550, but the matte IPS screen in Dell's Latitude E5550 takes the first place with an excellent 343 cd/m². 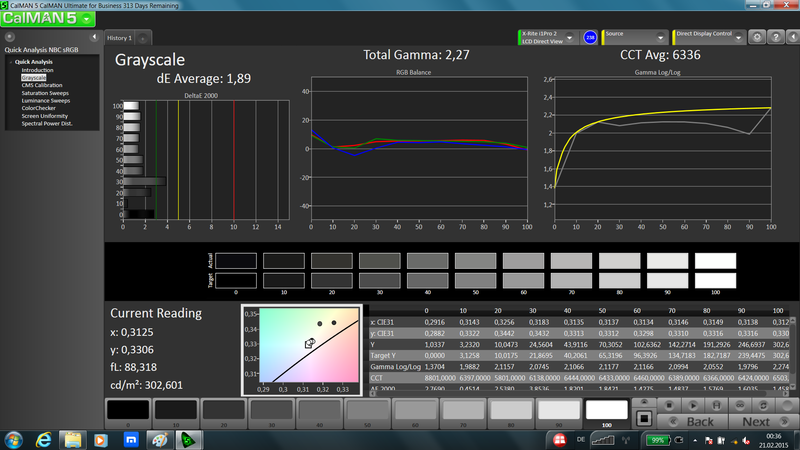 The illumination of 83% is slightly below average, but we did not encounter obvious clouding or screen bleeding. 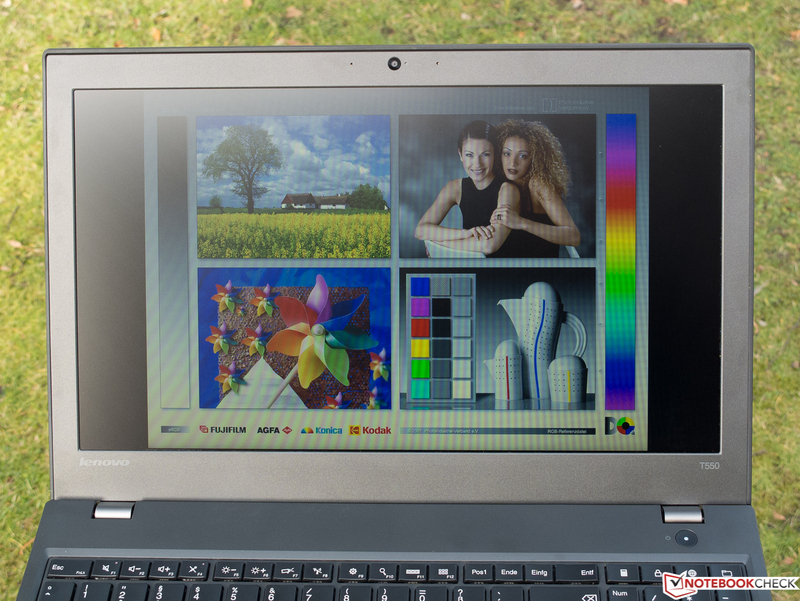 The black level of the T550 is too high, and we cannot speak of saturated black (RGB: 0,0,0) on an absolutely dark image. Toshiba's Tecra and Dell's Latitude present reasonable rates. That leads to a middling contrast of just 330:1, which is very clearly surpassed by the comparison field with exception of HP's EliteBook that also suffers under a too bright black. 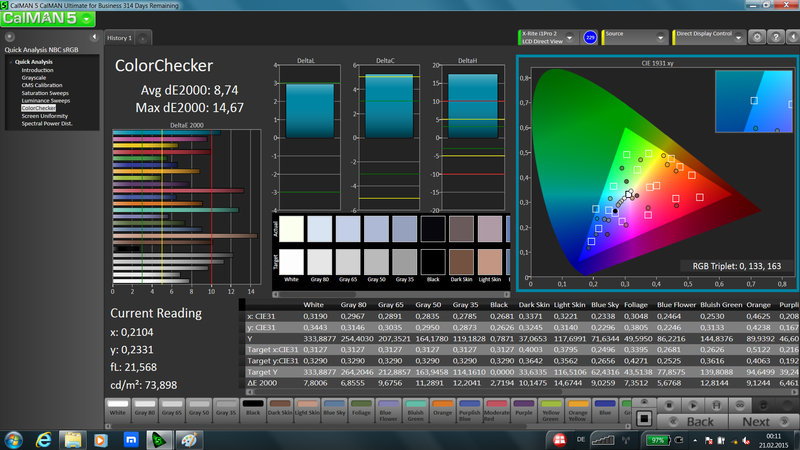 Again, the TN screens in our review sample and HP's laptop are the problem children when looking at the DeltaE values, which describe the color shifts from the ideal. The two other contenders do a satisfactory job as typical for IPS and display fairly accurate colors even in a non-calibrated state. The shift is reflected in a visible bluish cast in our review sample. 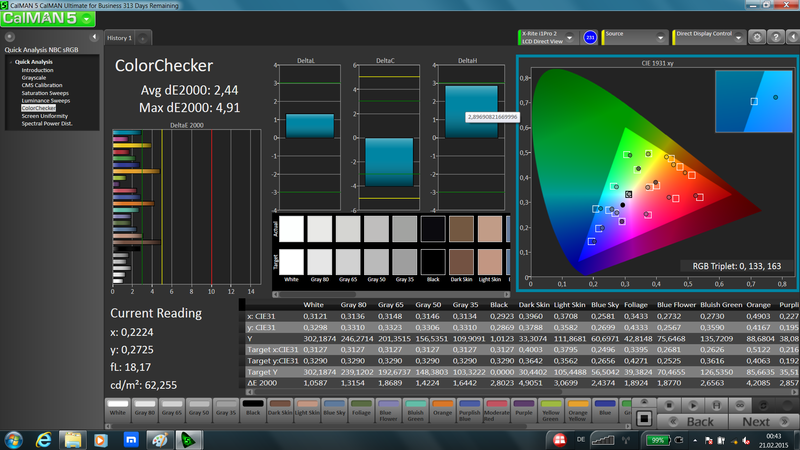 The coverage of the wide AdobeRGB color space is only important for (semi-) professional image editors. We have to note that the 54% achieved by Toshiba's Tecra (IPS!) does not stand out from the normally inferior TN screens in this exercise. That, however, sooner speaks for the TN screens since over 50% is a good rate in this category. The image sharpness did not give us reason for complaint. 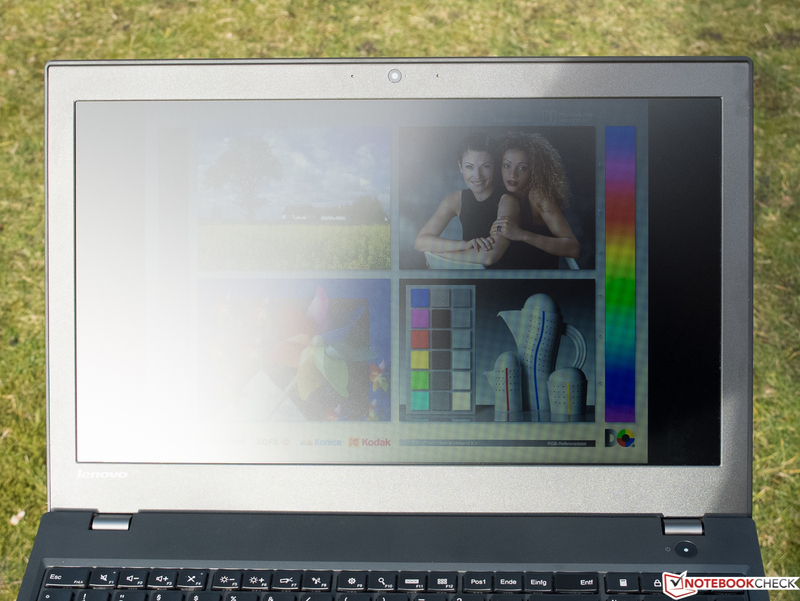 The T550 can be used outdoors even in good weather, owing to its matte and bright screen - providing the sun does not shine directly on the screen. 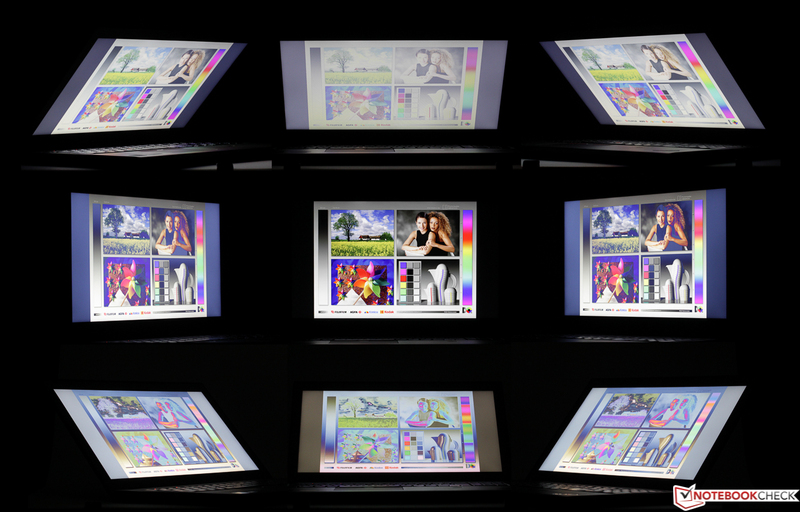 Allegedly, the optionally available 3K touchscreen is to have anti-glare qualities. However, that would be the first real matte touchscreen on the market. We sooner believe in a compromise that will likely limit outdoor use. 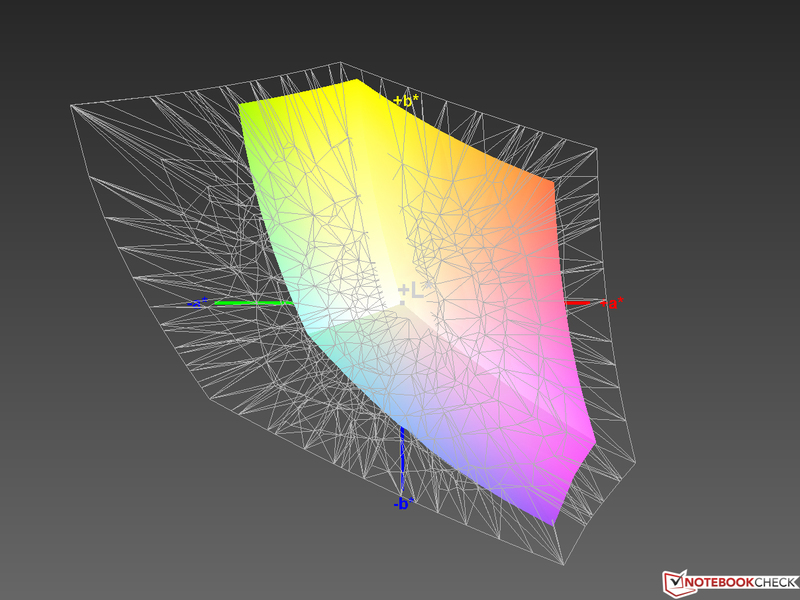 As can be seen in the screenshot below, the viewing-angle stability is not ideal. As typical for TN, image errors increase when the horizontal viewing angle is reduced. However, it is still relatively harmless compared with really low-cost screens based on the same technology. It looks really bad when looking from above or below. Users who do not want to accept these restrictions but want the T550 anyway will have to pony up even more for the model with the higher-resolution IPS screen. 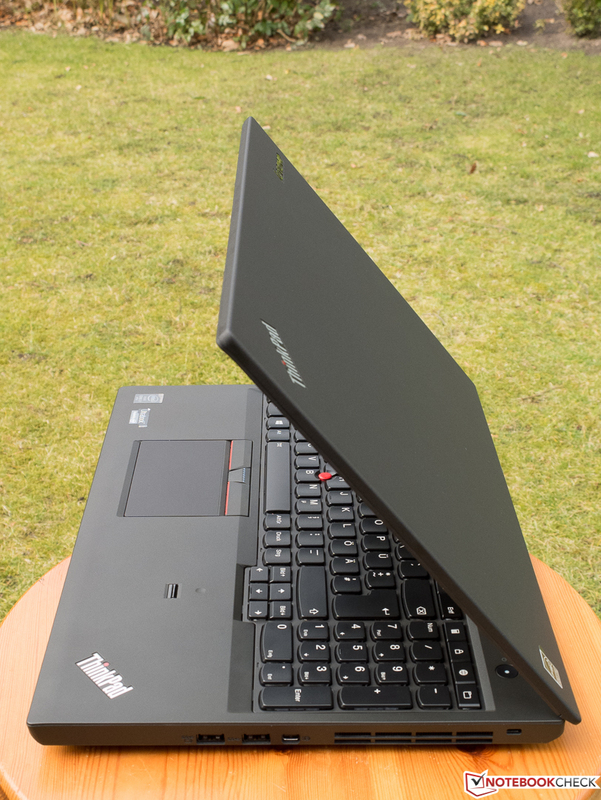 Lenovo's ThinkPad T550 is an office laptop from the upper price range. It can provide enough power for business-relevant applications owing to its strong yet economic CPU, the swift SSD, and generously sized working memory. However, it will barely be suitable for sophisticated 3D games because it does not sport a dedicated graphics card. The T550 will also be able to cope with computing-intensive Photoshop session but will lag behind when using software that clearly benefits from four or more physical cores. 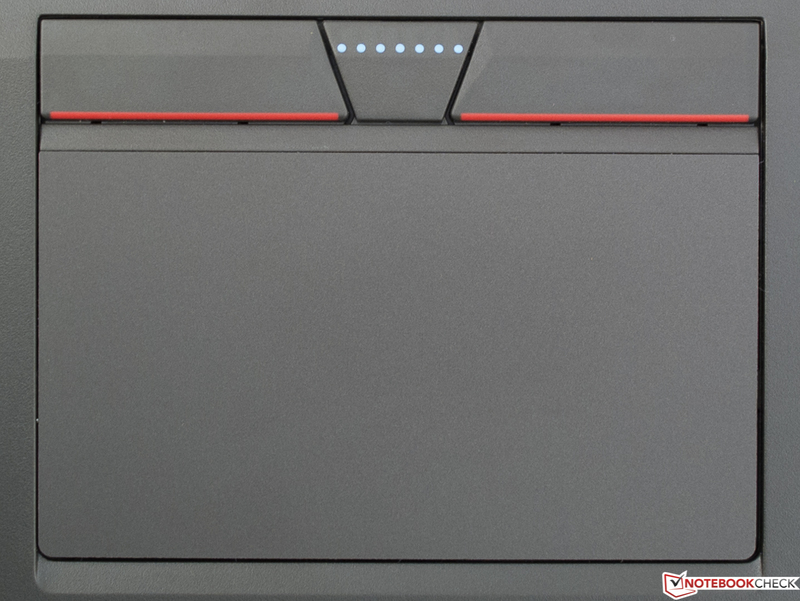 Besides the standard Windows power management, Lenovo installs its own energy manager on the T550 that adds additional setting options and profiles. We opted for Windows High Performance profile in conjunction with the setting "Maximum Turbo" for all benchmarks in this test. 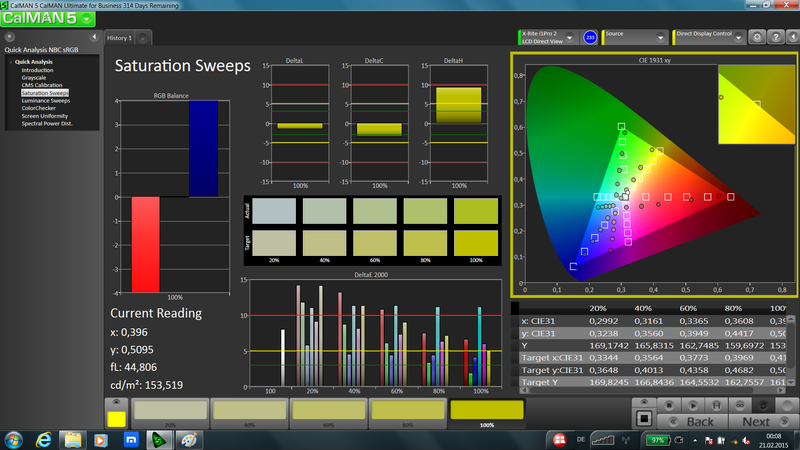 Cross-checking with the "Balanced" setting that we used for all other tests did not present lower scores in PCMark 7; the Cinebenches lost a few points. Intel's Core i7-5600U (2x 2.6 - 3.2 GHz, Hyper-Threading, TDP: 15 W) is a fast dual-core that comes from Intel's brand new Broadwell processor generation. It exhibits both a slightly higher per-MHz performance as well as better energy efficiency than Haswell owing to various improvements. While the architecture substantially remains constant, the manufacturing process has been reduced from 22 to 14 nm ("tick"). 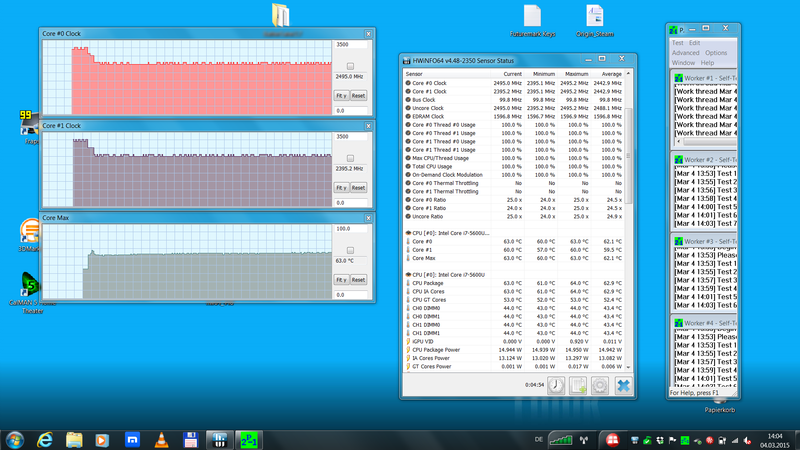 The maximum Turbo is (actually) 3.1 GHz when both cores are loaded. Both the ThinkPad T450s and X250 based on the same CPU have an 8% lead on the review sample in the Cinebench R15 multi-core benchmark. It can thus be said to still have the expected performance. There are barely any differences when only one core is loaded. It looks very much the same in the older Cinebench R11.5. 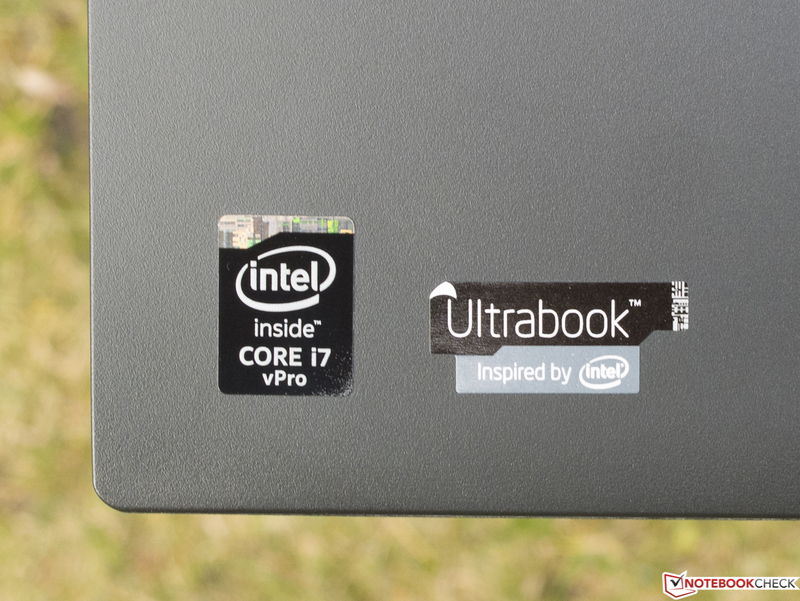 The charts show the marginal performance plus that the i7-5600U manages to reap in compared with its direct i7-4600U precursor (2x 2.1 - 3.3 GHz, Hyper-Threading, TDP: 15 W) in Toshiba's laptop, likely also due to its higher clock rate. They also show that the i5-4200U (2 x 1.6 - 2.6 GHz, Hyper-Threading, TDP: 15 W) in HP's device is always last place with only a slight difference. Whatever the reason, we cannot assert that the T550 utilizes its Turbo well. 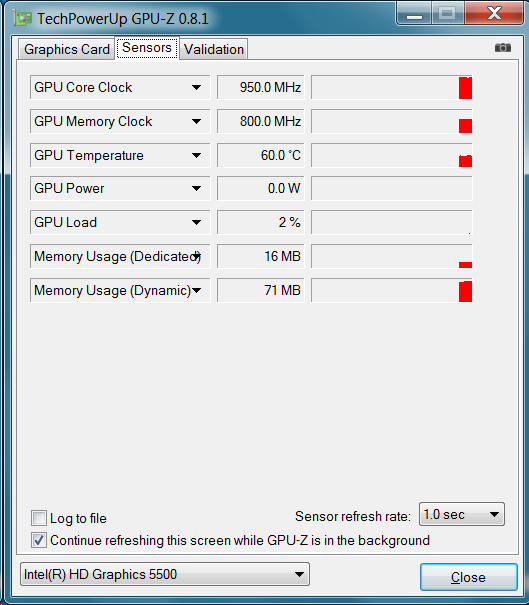 Slight throttling was already noticed when we performed Cinebench R15 using the Energy Manager setting "Balanced" although the CPU's temperature was not even 60 °C. 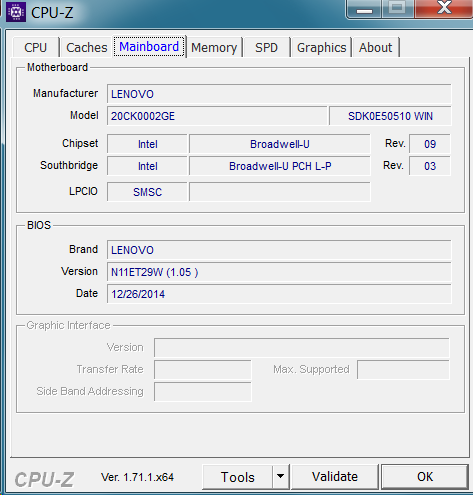 The clock permanently remained 100 MHz below the processor's specified base rate of 2.6 GHz. That at least did not change when we pulled the plug. 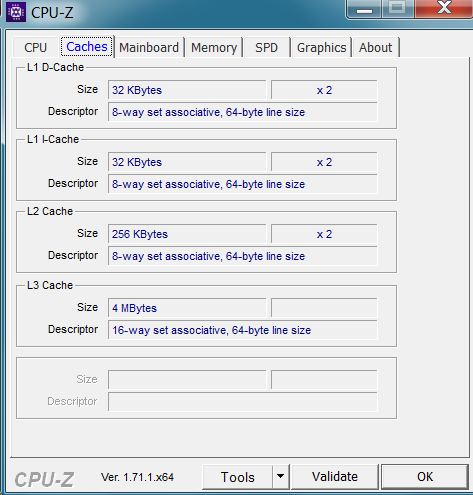 Besides the CPU, both the storage device and, to a small degree, the GPU have an impact on the scores. Since the SSD in Toshiba's laptop is generally not superior, we were a bit surprised about the lead that the Tecra managed in PCMark 8. The basically more reliable PCMark7 displays the situation better. 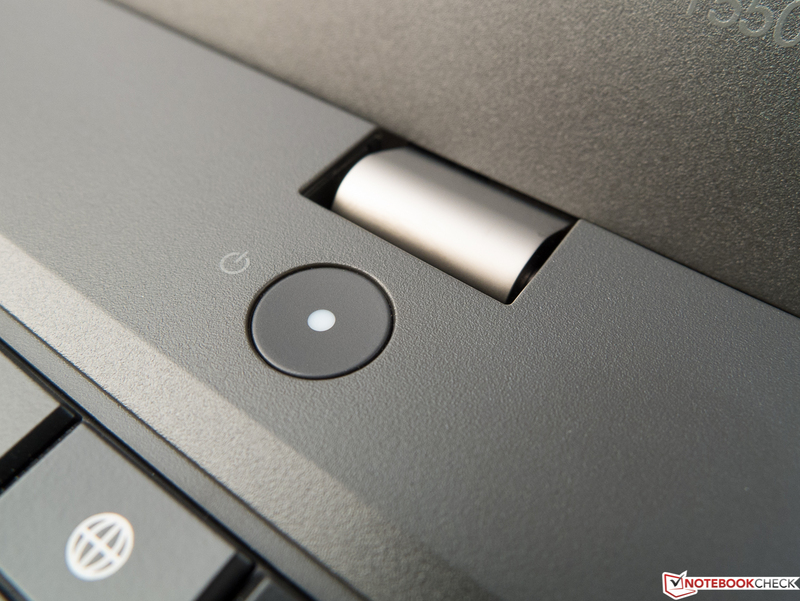 That HP's laptop with a conventional hard drive and the slowest CPU in the field achieves a lead of up to 74% on Dell's device (PCMark 8) sheds a poor light either on its Lite-On SSD or on the benchmark. The review sample's subjective performance in routine use is more important, and here the user can take delight in speedy program and system starts as well as an always more than smooth use. The Samsung SSD in the review sample performed sequential read in a high but not exceptional speed and is thus on par with both other SSDs in the field. 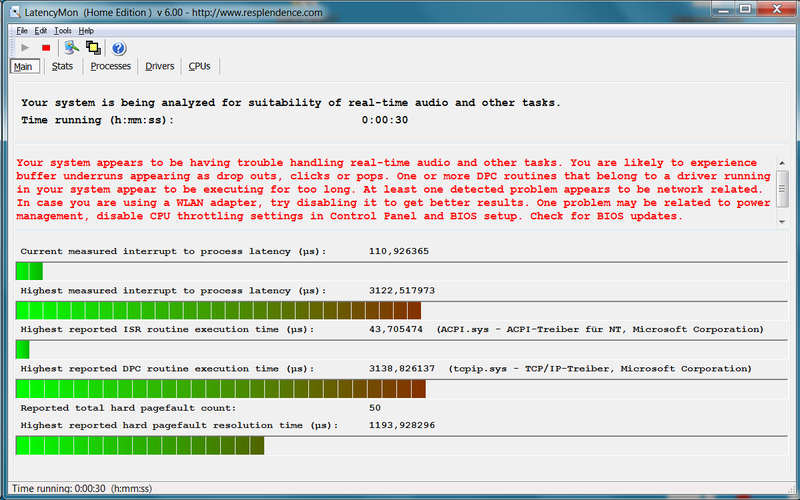 Our ThinkPad clearly outperforms both the Tecra and Latitude in reading small, random data blocks (4k read). The three SSDs are again so close in the other read exercises that the differences can be neglected in practice. The write performance (write score) is less important. 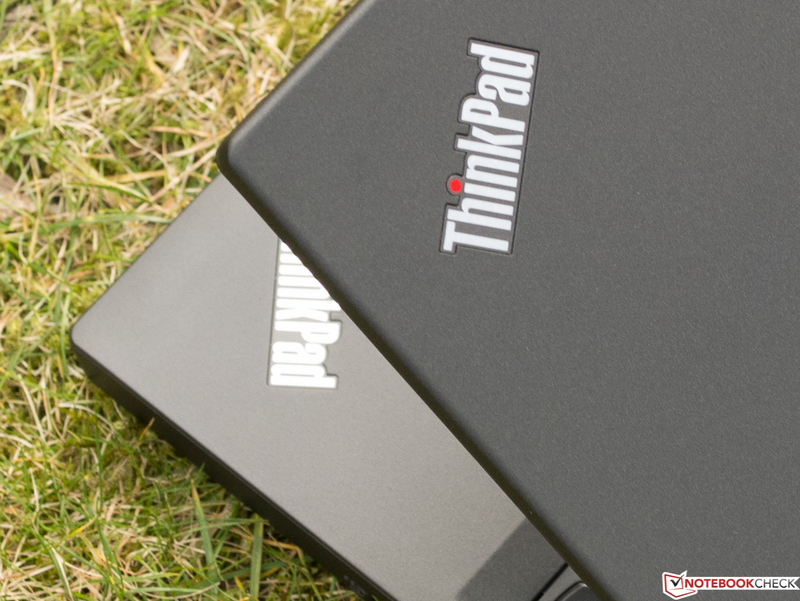 The Tecra and Latitude achieve a slight advantage over the ThinkPad here. The graphics card will likely sooner be not as interesting for the target group. Therefore, we will keep it short. 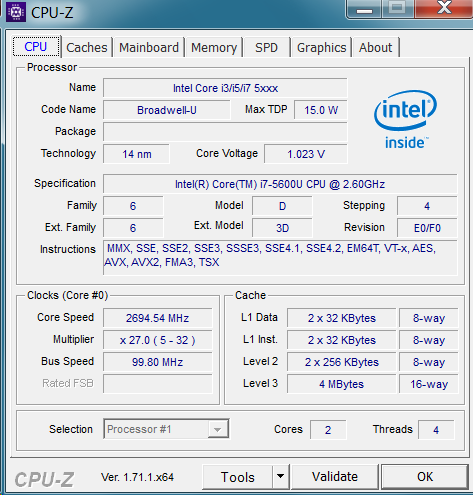 The CPU-integrated Intel HD 5500, with up to 950 MHz in this case, supports DirectX 11.2 and should be roughly 20% faster than its direct HD 4400 precursor in the Haswell contenders. The differences in the 3DMarks was usually lower, and the aforesaid actually only applies to HP's EliteBook with an overall low level that is insignificant. The GPU supports a maximum resolution of 3840x2160 pixels, and up to three monitors can be connected simultaneously. One external monitor would have to be connected via VGA in the review sample. There is not much to say here, either. The user will have to be happy that the latest GRID: Autosport can just still be rendered fairly smoothly in the already quite appealing medium settings in view of the on-chip GPU's very limited performance. 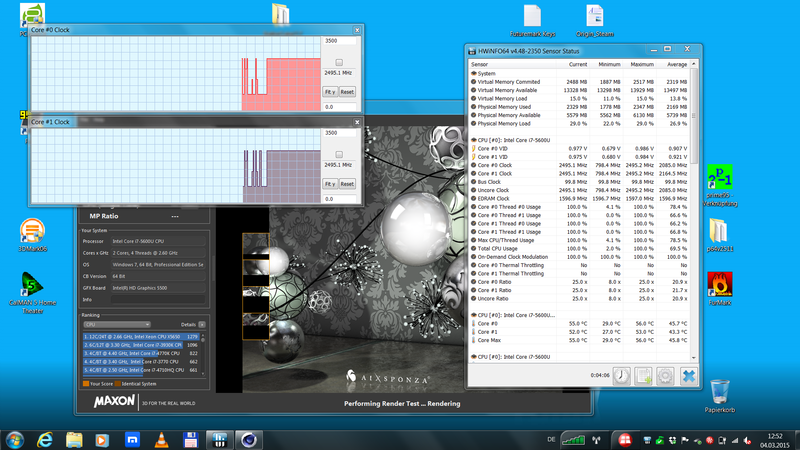 It shares the memory with the CPU and could be a bit faster if it operated in dual-channel mode. However, games like FIFA 15, Dota 2 (medium) and Diablo III are no problem. 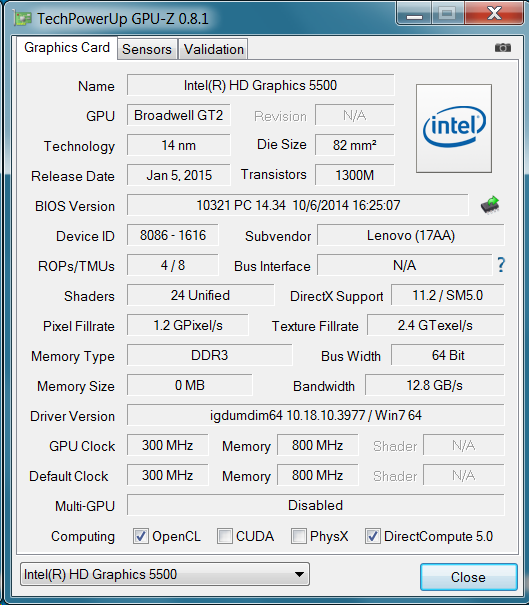 More benchmarks and information about mobile graphics cards like the HD 5500 can be found in our FAQ section. 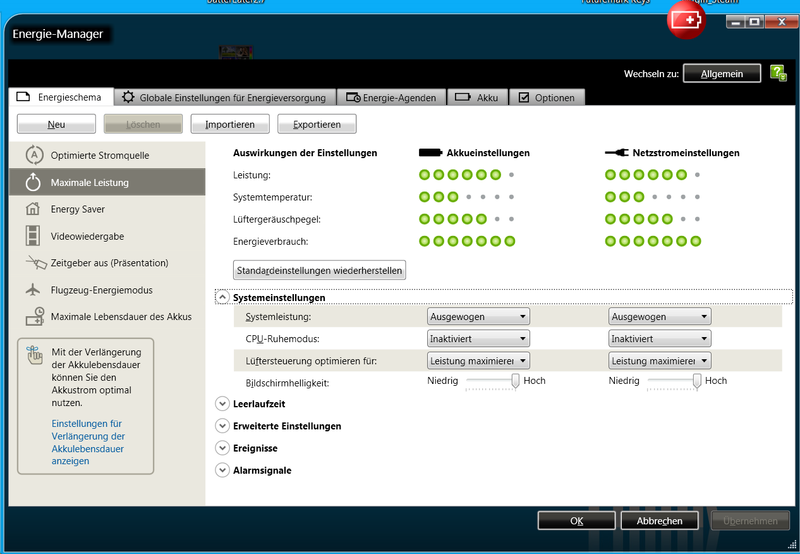 29 dB in the three idle mode levels indicates that the fan is absolutely inactive here. It is just still possible to discern the never distracting fan from ambient noise when the load is increased to a level that will hardly occur in routine use. 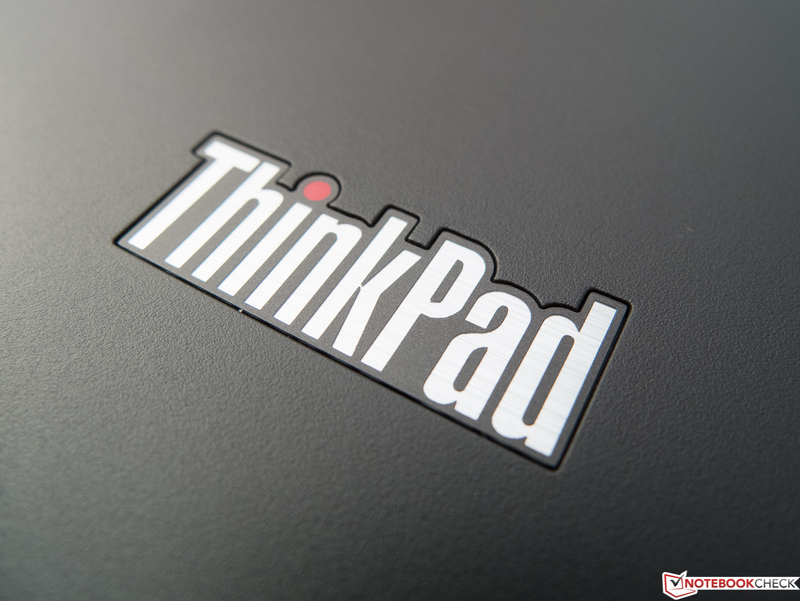 Consequently, Lenovo's ThinkPad T550 is also suitable for noise-sensitive environments alongside its mostly quiet keyboard. 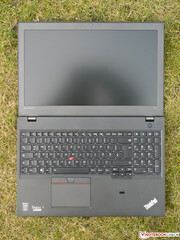 Lenovo's ThinkPad T550 never surpassed 40 °C (underside, center) even during permanent load. The wrist-rest area reached a maximum of pleasant 27 °C. It is very possible to use the device on the lap considering its low cooling requirement. The three contenders do not get significantly warmer. Like in Cinebench R15, the CPU's clock rate settled to 2.5 GHz after a few seconds in the stress test with Prime95 ("Maximum Turbo" in Lenovo's Energy Manager), which confirms throttling. That is difficult to comprehend since the core temperatures did not exceed 63 °C. 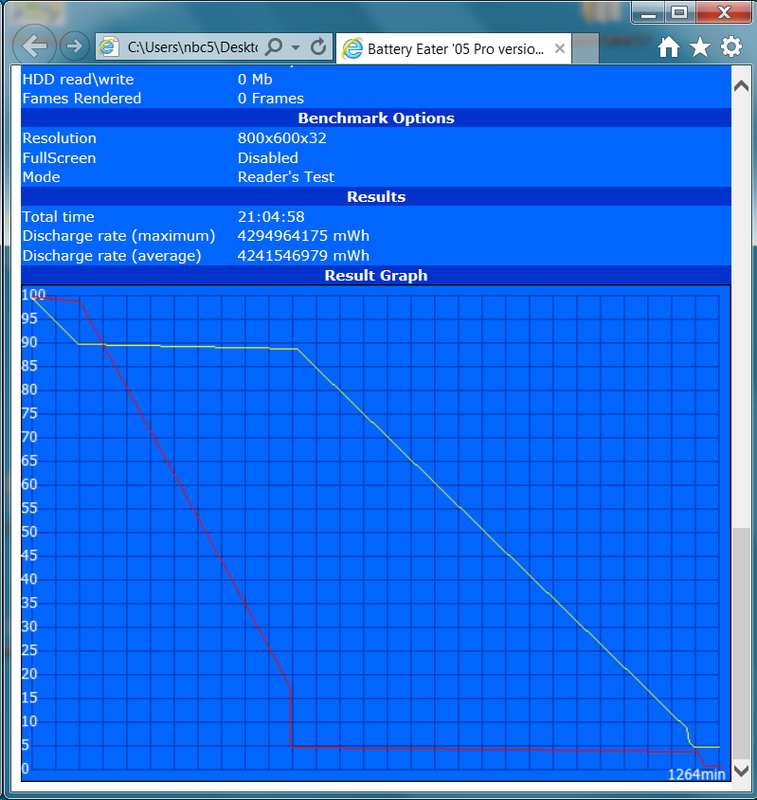 One reason might be that a CPU with high leakage current was installed in our device. 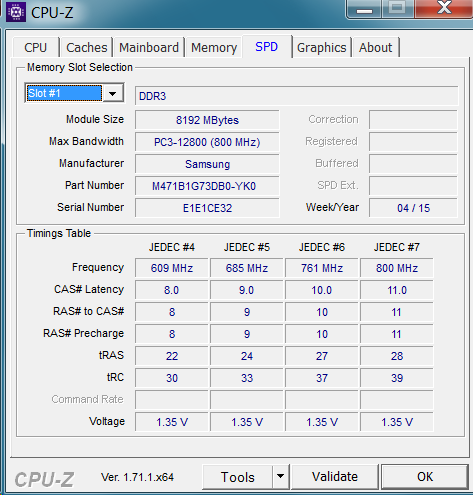 In any case, it is certain that it is a TDP limitation because the 15 watts were fully utilized at 2.5 GHz. However, that should only have a very limited impact in routine use. The CPU's clock dropped to approximately 1.2 GHz when we added the GPU stress test FurMark because the Intel HD 5500 claims a part of the tight TDP. (+) The maximum temperature on the upper side is 30.7 °C / 87 F, compared to the average of 33.9 °C / 93 F, ranging from 21.2 to 62.5 °C for the class Office. (±) The average temperature of the palmrest area of similar devices was 28.2 °C / 82.8 F (+1.8 °C / 3.3 F). The Dolby tweaks lead to a real improvement here. 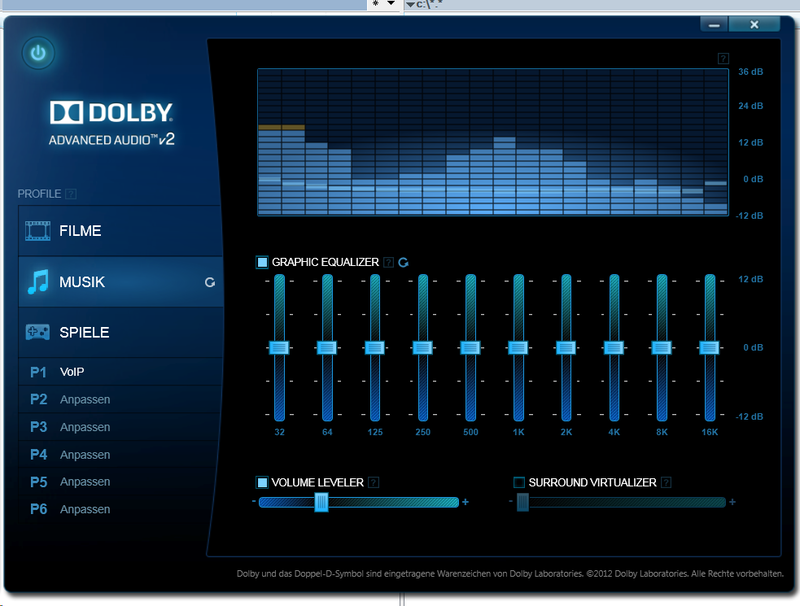 Lenovo preloads Dolby Advanced Audio 2, which is to decently boost the actually muffled, restrained sound. However, it sometimes carries that to excess. This is particularly heard in the comparatively high maximum volume where the sound seems to overdrive slightly and is sometimes piercing. But the tweaks generally lead to considerably more presence and liveliness and even render a certain degree of surround feel. Instruments remain fairly discernible, and there are hints of dynamics. 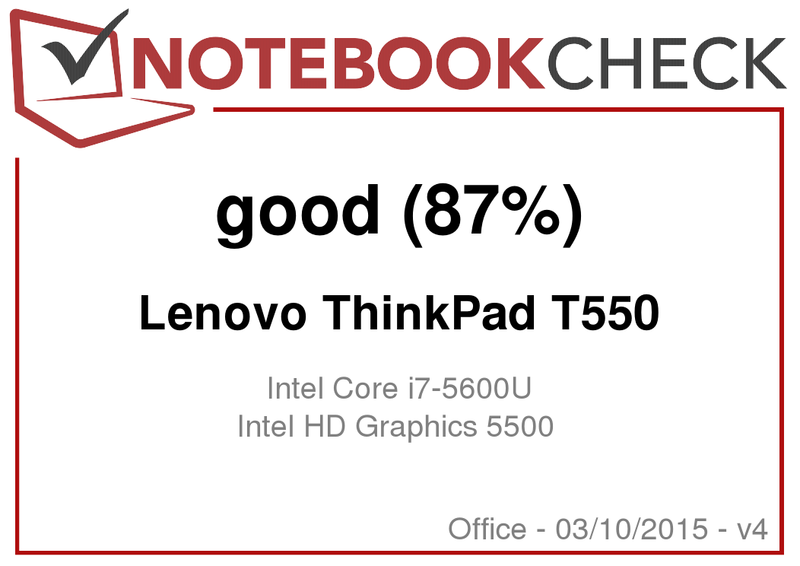 Regardless whether it is due to throttling, Lenovo's Energy Manager or even the economic Broadwell processor, it is a fact that the T550 is considerably more frugal than the three lower-performance Haswell contenders. However, their rates are closest in full load. 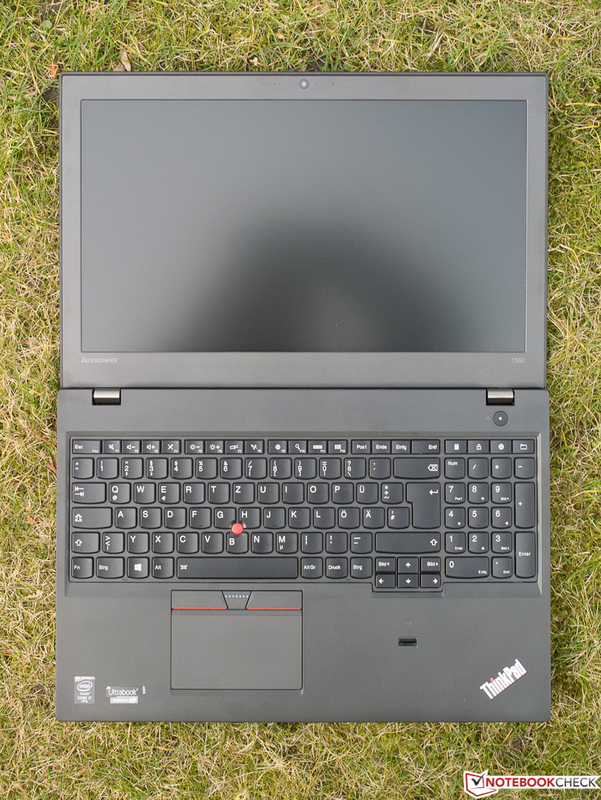 When comparing all equally sized office laptops that we tested in the past twelve months, the T550 takes a place among the five most efficient devices. It is midfield in load and treats itself to a maximum of 30.4 watts. The 45-watt power supply thus has a sufficient capacity. 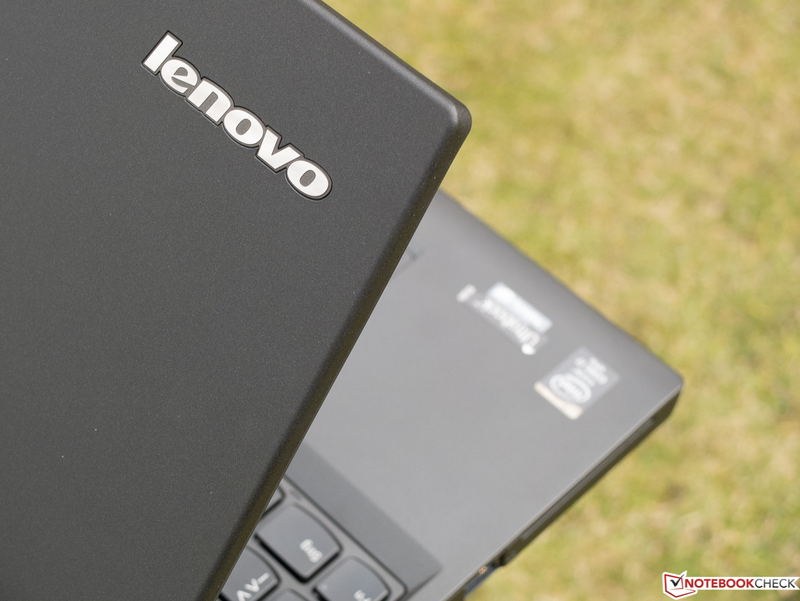 Our Lenovo T550 features two batteries. The one with 44 Wh is non-removable and the other with 23 Wh can be removed even during use (hot swapping). That enables exorbitantly long battery runtimes and stresses its high mobility factor even more. Like in Power Consumption, it takes the first place in the field in both idle mode and in the practical Wi-Fi test (our test criteria). The load runtime is also fantastic. All our comparison laptops with a lower total Wh, but which are also more power-guzzling, cannot compete with that at all. 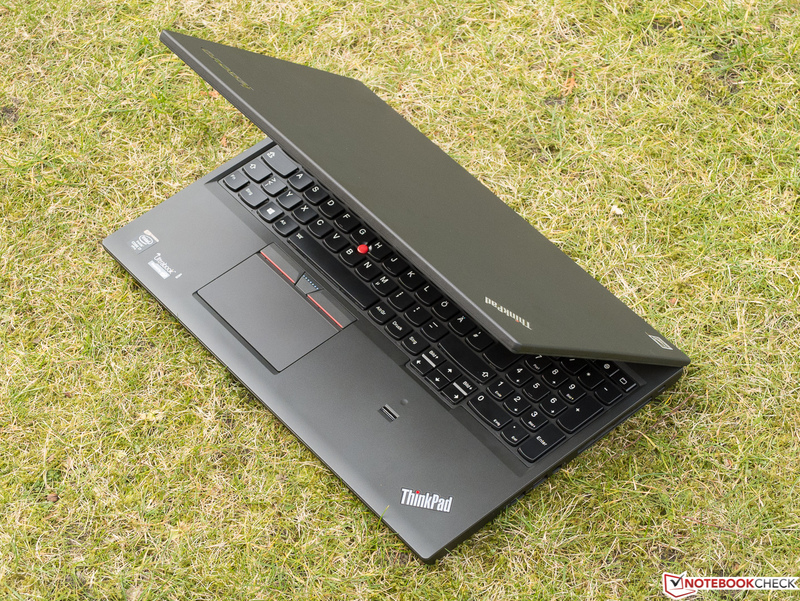 In total, the T550 mostly fulfills the high claim of the T lineup and justifies its price. 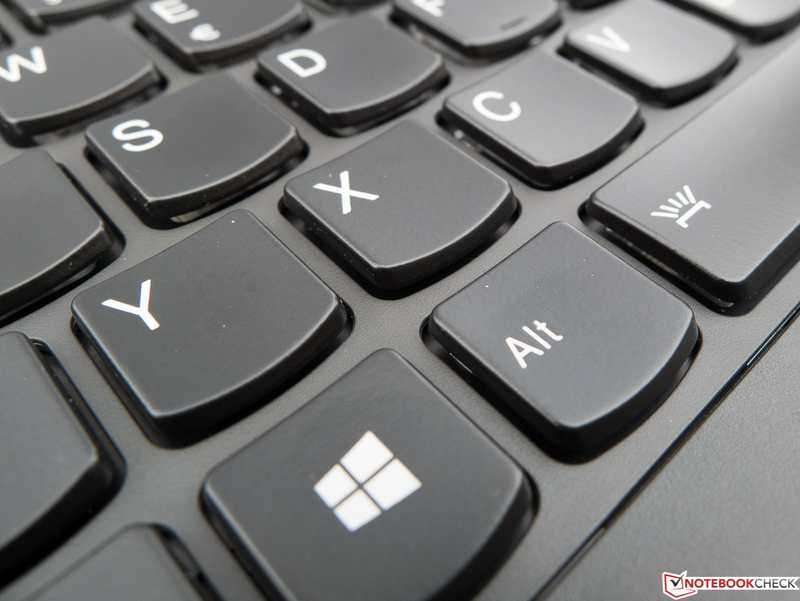 We are dealing with a relatively lightweight, robust and well-built even if maintenance-unfriendly business laptop that convinces with quiet and cool operation. LTE makes it more flexible than models that depend on Wi-Fi. The security package is absolutely satisfactory, the keyboard and touchpad are from the top shelf, and all interfaces that the target group might need are installed. 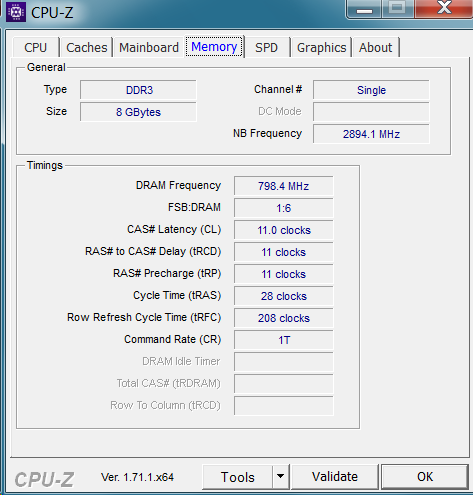 Although the performance is easily enough for the standard programs in the business field, the throttled processor clock rate leaves a bitter taste. The TN screen, which is at least bright, does not fit to the price. The most striking asset of the T550 is doubtlessly its fantastic battery life that will make the laptop particularly interesting for users who have to bridge longer times away from a power socket. 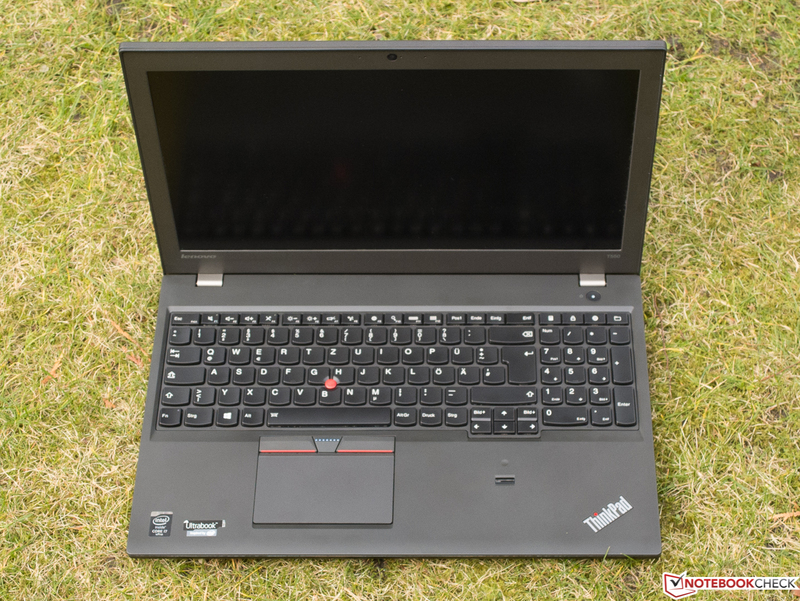 Buyers who need a bit less performance or a better screen can theoretically find a vast selection of T550 models that will satisfy these wishes. However, it remains questionable which of them will ultimately find their way into retail. 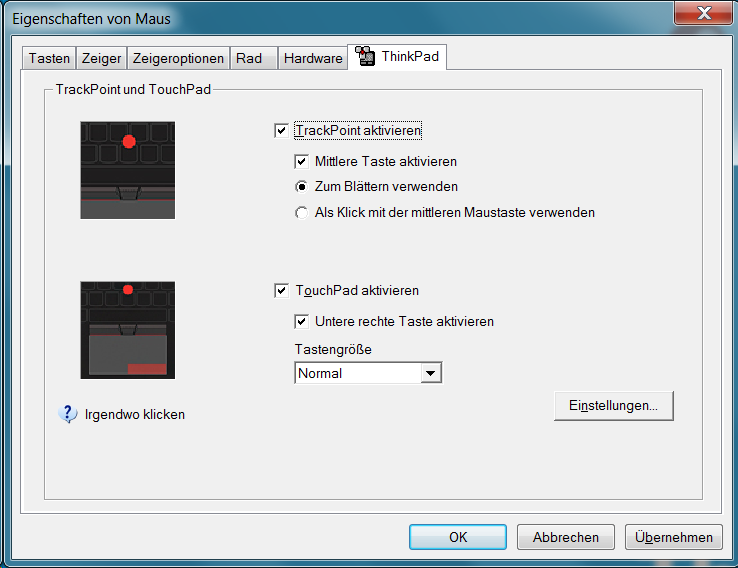 Overview of the input devices. 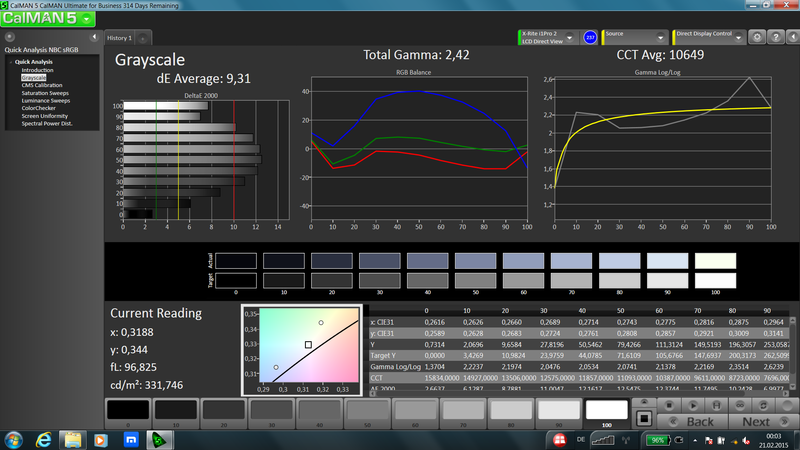 ...and TrackPoint almost matched that. The hinges are pulled a bit too tightly. A 180-degree opening angle is also rare. Webcam, stereo microphones, light sensor. Ultrabook? Barely interests anyone anymore. An overview of the underside. The speakers are unusually loud. The removable battery has 23 Wh and hot swapping is possible. Quite a bit, for example the stiff yet light casing. An (optional) Full HD IPS screen.